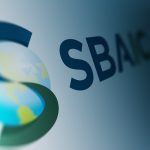 SBAIC has rescheduled the Facilities and Security Officer (FSO) Training for January 17, 2019. This training is limited to 30 people. Leave informed and ready to navigate the process for your company to be granted a facility security clearance. Location: Integra Government Services International, 1100 Vermont Ave. NW, Suite 750, Washington D.C.